Sirin Labs launched a super expensive "Solarin" smartphone about a couple of years ago priced at $14,800. 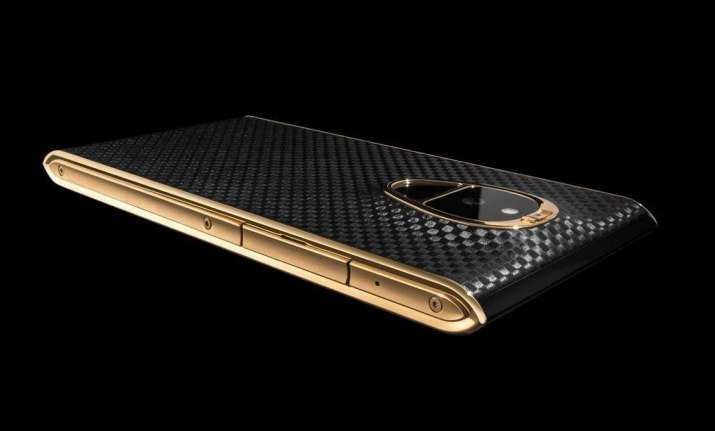 Swiss consumer electronics company Sirin Labs has reportedly finalised a dual-screen design for its Blockchain-based "Finney" smartphone in partnership with handset manufacturer Foxconn. "Finney", that is claimed to be the world's first Blockchain-based smartphone, is expected to be launched in November and would cost $999. According to a report in ZDNet on Friday, "Finney" is expected to come with a two-inch slider "safe screen", Sirin OS based on Android 8.1, behaviour-based intrusion protection system (IPS), secure communications, multi-factor, a cold storage cryptowallet and a proprietary decentralized application (DApp) store alongside Google Play store. "The vision of Sirin Labs right now is to bridge the gap between the Blockchain economy and the mass market, by basically addressing and resolving these two inherent problems," Nimrod May, Chief Marketing Officer at Sirin Labs, was quoted as saying. Finney devices will be manufactured at FIH Mobile's (a Foxconn subsidiary) existing facilities. FIH Mobile will design and manufacture the phone while Sirin Labs will lead the development of the wallet hardware and operating system (OS).